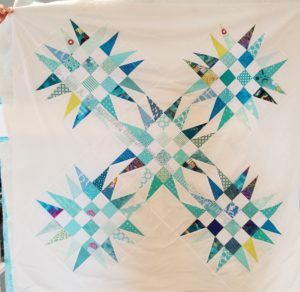 I finally finished the Spiky 16 patch stars into a quilt top! This is the 3rd one of these quilts I have made. 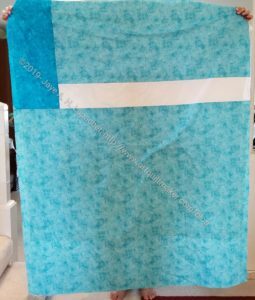 I have an idea for another one, but since I am working on scrappy strip quilts right now, they may have to wait. It isn’t exactly 100% stellar but only because I could have arranged the blocks differently. It looks great and I have already handed it in to be quilted. I am pleased that it went together so quickly. I was rearranging the Tutorials page and there were the directions for setting blocks on point. I took the bull by the horns and made the top. It really went together very quickly. I also found the perfect piece of Stonehenge that only needed a little piecing. Since I couldn’t finish the purple strip quilt, I was glad to have a donation top to hand in. I agree. 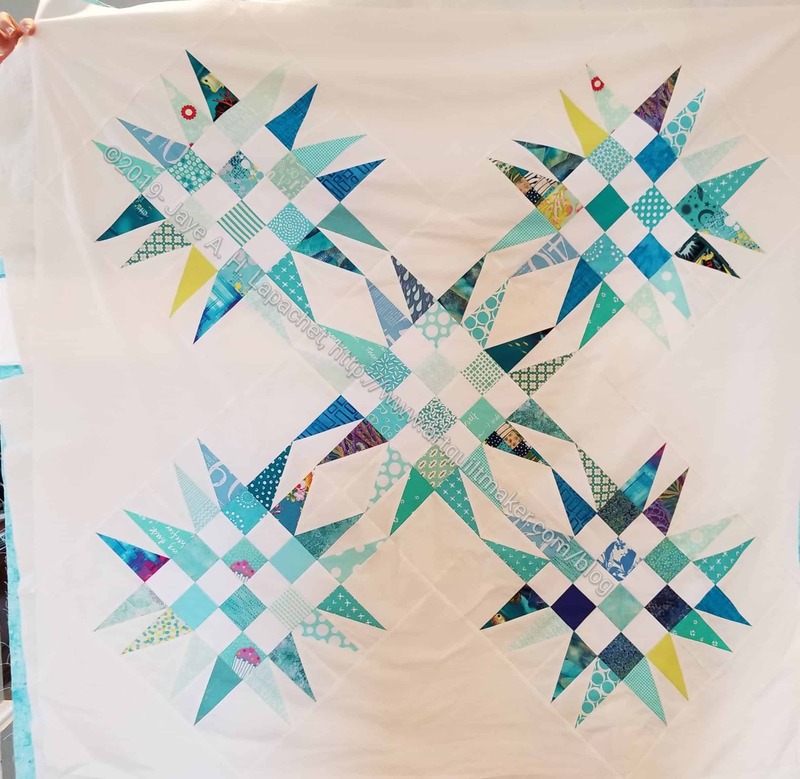 The first one I made used a straight set (see: https://www.artquiltmaker.com/blog/2018/04/finished-hrt-donation-top-back/). I think the on point setting is much more interesting.